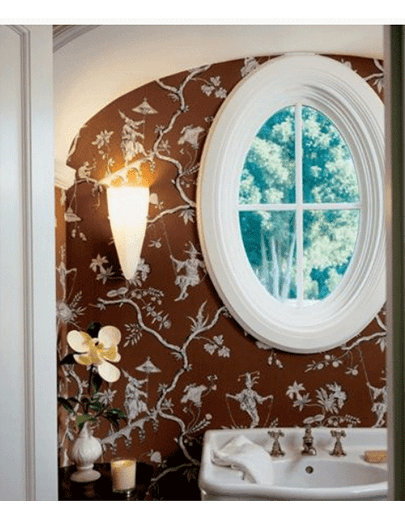 An architectural detail that I find really wonderful is the round or oval windows. Placed judiciously, small circles of glass stand out in a home’s design, creating a strong architectural punctuation mark in an otherwise ordinary space while bringing additional light and often an unexpected view into the interior of a home. The original name for this kind of window was oeil-de-boeuf, literally “ox’s eye”; it’s also called an oculus. While I’m not entirely sure how the name came about, it seems appropriate. These windows do resemble eyes looking out at the world. And just as eyes are said to be windows to the soul, these windows also can offer an intriguing and unusual glimpse into a home’s interior. In the end, though, this wonderful architectural element’s origins don’t really matter. What does matter is that an ox-eye window could well be that bit of architectural grammar that’s needed to complete your home’s statement. Ready to create your own statement? Contact us for a free consultation. Published with permission from Houzz. Bud Dietrich, AIA November 23, 2012, Houzz Contributor. When an oculus is used in place of a standard window, maintaining privacy can be a challenge. 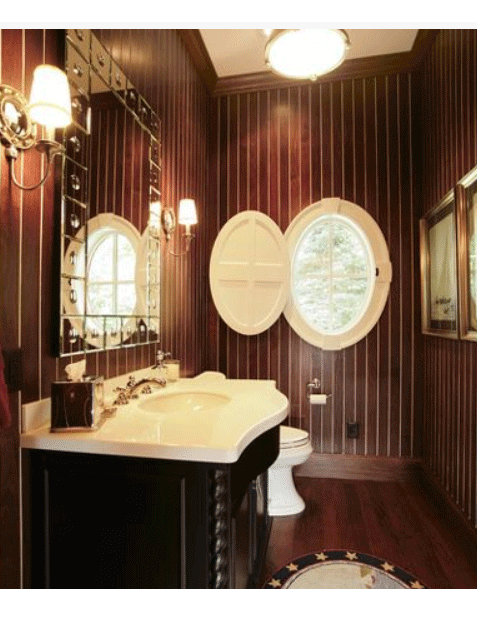 Traditional window coverings will hide the unique shape; using frosted or reeded glass or installing a custom pleated shade can result in a loss of light and view. In this clever installation, a hinged interior panel preserves both of these elements while allowing for privacy. Martin Bros. Contracting, Inc. Even though we’ve had an unusually warm start to Fall, we’re slowly coming to accept the fact that winter will be here soon. And while we know air leaks, loose roof shingles and crumbling brick mortar don’t cause much concern when temperatures are mild, there is cause for concern when the temperature plummets. Extreme temperatures, mounds of snow and icy winds can wreak havoc on the parts of our home that are showing some age or wear. 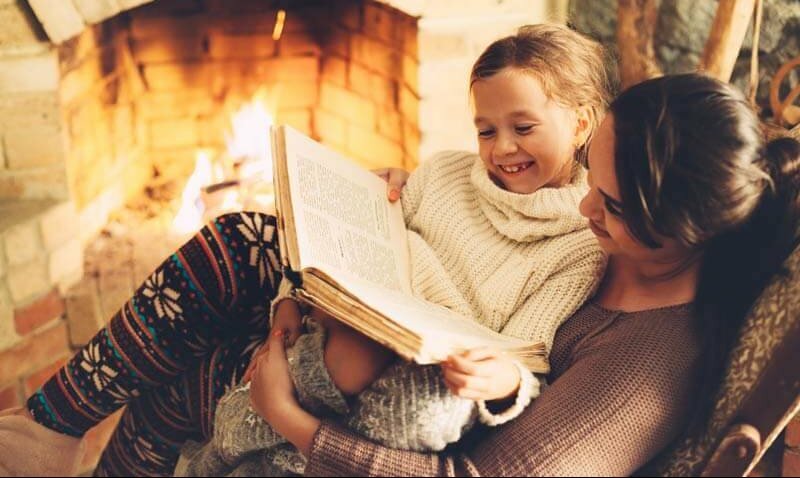 Because we want you to stay warm and cozy inside this winter—and not be troubled with unexpected problems—we’ve put together 7 Home Winter Preparation Tips for you. We urge you to get a jump on them now so you don’t find yourself, literally, out in the cold trying to winterize your home when the temperature dips below 32 degrees. Here is a not-so encouraging bit of knowledge: Your house leaks air throughout the year, which causes you to spend more money on your energy bill. 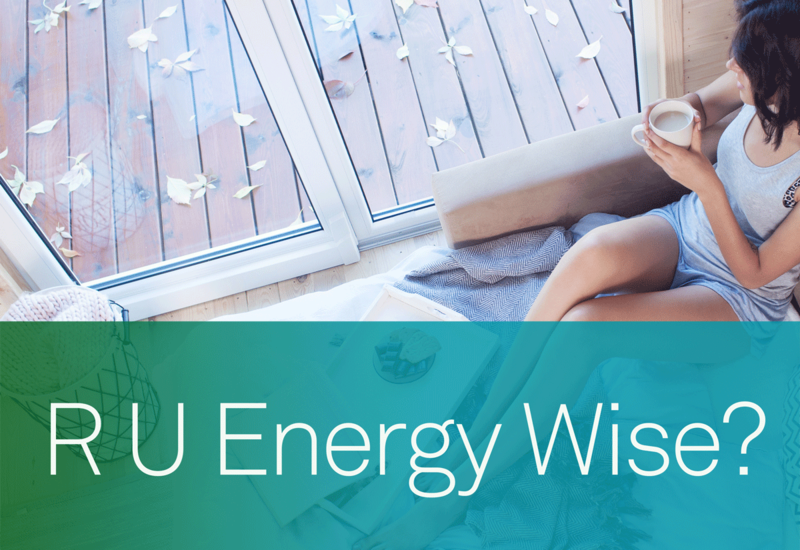 According to the Department of Energy, reducing drafts in your home can reduce your energy bill somewhere by 10 percent to 20 percent per year. First, the key is to find the leaks in your home. Start looking for gaps in your flooring, walls and ceiling. Next, look at the outside of your home for leaks in the exterior. Finally, examine your windows, doors, plumbing fixtures, switches, electrical outlets, and fireplace dampers. Discover which openings in your home allow cold air in and warm air out! Windows and doors often are the main culprits for unwanted air leaving the house. To minimize drafts and reduce energy costs, you can seal gaps by weatherstripping your windows and doors. You can choose from v-strips, all-wool felt, foam and/or door sweeps and decide which one works best for your home. For example, door sweeps are great for keeping out air and are cheap to install. However, they also have the tendency to drag on carpets. Felt is inexpensive and easy to install as well. However, it does not protect from moisture and lasts less than two years. Sometimes, no amount of weather stripping will seal leaks from your windows and doors. That’s a sign that it’s time to budget for new windows or doors. When you’re ready, we have a broad selection of wood and vinyl windows, as well as new entry doors, to make your home look great and stay warm all winter long. If you’re ready to replace your windows now, but haven’t saved up for it, ask us about our Home Improvement Financing option. You can receive 0 percent financing for up to 1 year on your home improvement project. Gutters are like beacons for dirt, leaves and other debris. It’s important to have them cleaned regularly to ensure rainwater can flow freely and drain properly. If the gutters are clogged and the water doesn’t have anywhere to go, it can spill out over the sides, pouring down the side of your home. This can deteriorate the ground around your house, or worse, seep into your basement. During the frigid winter months, this leads to icicles and ice dams forming on your gutter. Did you know that sediment builds up in the bottom of your hot water heater throughout the year? This sediment reduces your hot water tank’s heating efficiency. Once you finish winterizing your home on the inside, you might want to check the exterior of the house. Go beyond the doors and windows to examine the exterior walls, foundation and chimneys. In older brick homes, it’s not uncommon to have tuckpointing issues. This is when cracks in the brick mortar appears. Usually it is easy to spot, but if you are not sure, stick a pen or other elongated object into the mortar to check for gaps. 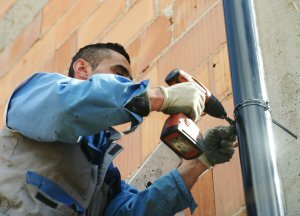 You often need tuckpointing when the mortar joints in a home deteriorate from age or settling of the house. You want to make sure you fill the gaps before water or insects get into the wood behind the brick. Make sure to complete any tuckpointing done before winter comes to ensure the mortar seals properly. Also, acting on this sooner than later keeps moisture from getting into exposed areas. Finally, if you have a home with an aging wooden exterior or asphalt siding, you might want to consider a makeover with vinyl or fiber cement siding. In the last several years, the quality look and color choices of vinyl siding have noticeably improved. 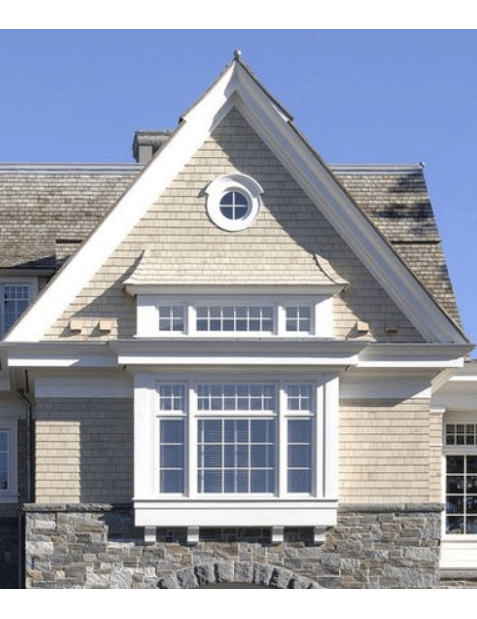 The right vinyl siding replicates the look and feel of real wood. Yet, you don’t have the difficulty and upkeep of having to paint it like you do with a wood exterior. If you want to take on a siding project before winter, you may want to take a look at our Home Improvement Financing options. The more you do now, the more you can prevent unnecessary and unwanted problems from creeping into your home during the frosty winter months. If you’re ready for new windows, doors or siding, call us at 847-562-1212 for a free consultation. For many Northbrook homeowners, replacing windows is a simple matter of “old with the old, in with the new.” Replacing old windows breathes new life into a home’s exterior, giving it a unique personal style alongside more practical benefits like reducing drafts and decreasing home energy use. The McCann team will gladly dispose of your old windows to make the transformation complete. Or you could get creative and transform old windows into something new. 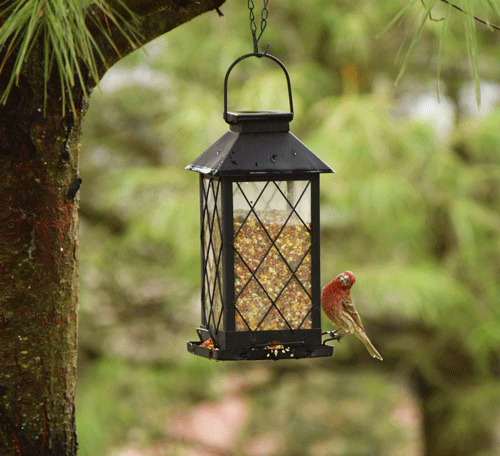 DIY trends are all about breathing new life into old home fixtures. 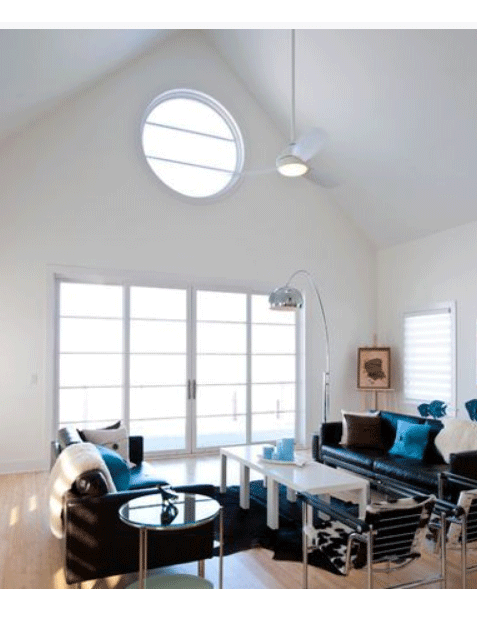 Your windows may not withstand the wind, rain, and snow in Northbrook anymore, but they can still improve your home. Hold onto your old windows and try one of these fun craft projects. Picture frames. Are you looking for a unique way to add character to bare walls? An old window frame makes a bold statement without sacrificing that classy, homey style. Attach small pictures in the center of each window frame for a simple, sturdy floating picture frame. If you’re decorating a child’s room, paint the frame a soft pastel color before hanging it on the wall. Jewelry holder. An old window frame makes hanging jewelry look attractive instead of cluttered. 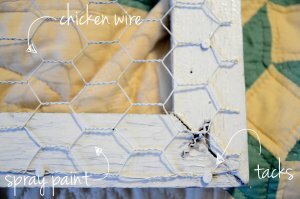 Cut chicken wire to fill each frame and hang earrings from the wires. For a simpler, sweeter look, string ribbon across the outer edges of the frame. Voila! A simple, attractive display for earrings, necklaces, or even sunglasses. Backdrop. Does your mantle look bare? Add height to those baubles on the ledge by using an old window frame as a backsplash. For a rustic vibe, distress the frame first. For a more modern look, paint the frame with a soft-finish metallic coat. 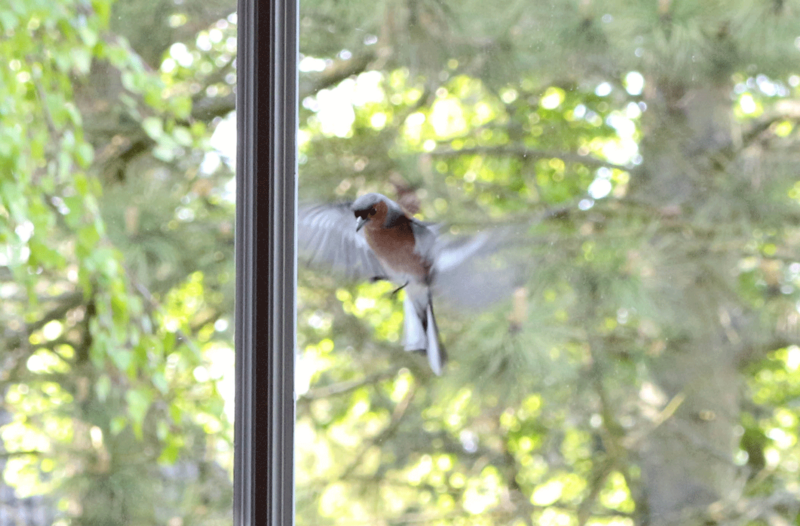 Is window renovation on your spring wish list? Call McCann Windows and Exteriors.